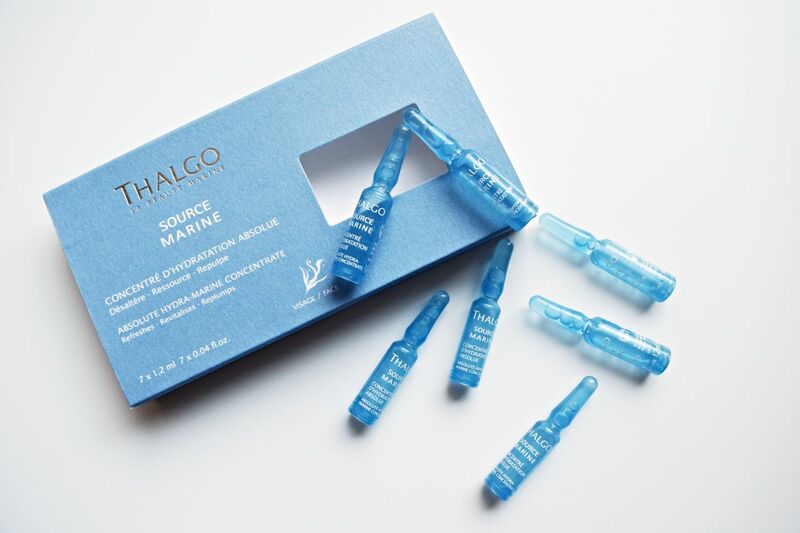 I was really looking forward to the Thalgo prescriptive facial at the Chuan Spa for two reasons. The first being I had previously been to the Chuan Spa last month for a different type of facial and absolutely loved it. 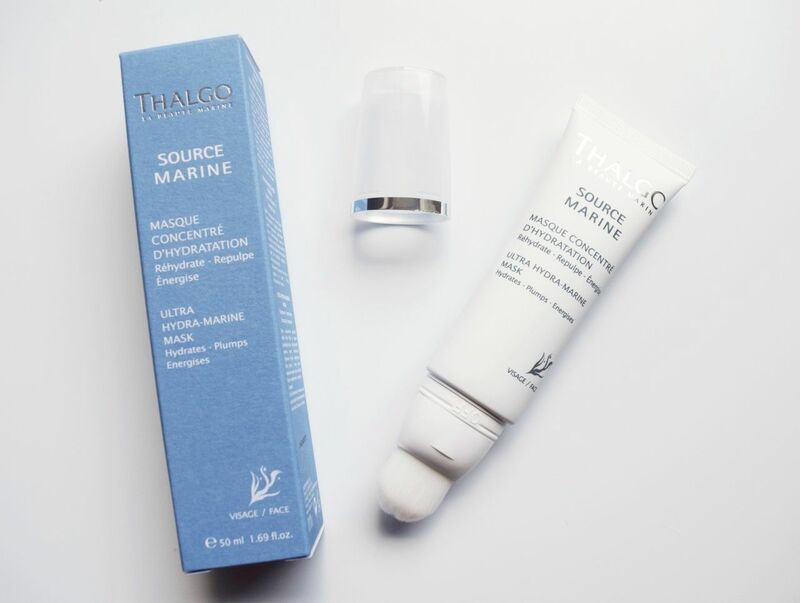 Secondly I had also tried one of the Thalgo products recently and it worked very well on my skin. The Thalgo prescriptive facial is designed as it suggests to tailor to your skin needs. For me at the moment my skin is so dry from the winter weather and after trying the primer from the Source Marine range, I really liked the sound of using this range in a facial. I explained to the therapist how I had recently been suffering from very dry skin especially around my eye area, so she said we would focus on that and we also discussed what sort of skincare routine I had currently been using. After the quick introduction, she also talked through what she was going to be doing throughout the facial, so this would be starting off with a cleanse, tone and exfoliation. She would then move onto some real hydration with a facial mask. This was one of the highlights of my treatment. It was the Thalgo Ultra Hydration Mask mixed with the marine setting powder to make a mask that peeled off and really felt amazing. To help with the dry skin under the eye, she used the Thalgo collagen eye gel and also a hyaluronic eye patch mask. Then finished with a silicium eye cream when applying the other moisturise creams. My skin felt very, very soft and yet again it had been another relaxing facial at the Chuan Spa. The treatment rooms are always so relaxing and in the spa itself, so you feel very comfortable. Once the treatment is over you are taken back to the main relaxation area, where you will find tea and fruit waiting for you. I also asked the therapist to write down the products she used so I could follow-up with a few, which was absolutely no problem at all. The following few days after the facial my eye area was much, much better and you could really see a difference. I think it was just completely dehydrated. I had tried moisturisers on it and even Vaseline but nothing had really helped so I was so impressed to see my major skin concern was getting better. I have since been using a couple of the products including the Ultra Hydration Mask and the Source Marine Absolute Hydra Marine Concentrate, which are capsules used day and night. Both have really helped keep my skin stay hydrated and my under eye area has improved greatly. The Thalgo Prescriptive Facial at the Chuan Spa at The Langham Hotel starts from £95 off-peak. For more info on Thalgo and to find a spa near you visit www.thalgo.co.uk. I Do love Chuan. It’s interesting to see which treatments you get. Sounds brilliant! I might have to add that to the list! It’s a great spa and I really enjoyed this treatment, great if you have a skin concern that needs addressing!